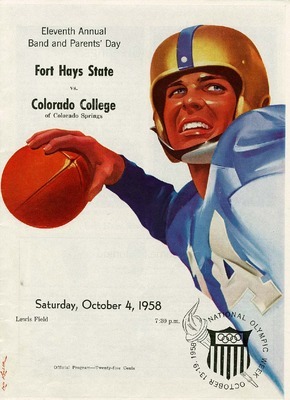 A program from the October 4, 1958 football game between Fort Hays State and Colorado College of Colorado Springs played at Lewis Field in Hays, Kansas. A program from the September 27, 1958 football game between Fort Hays State and Northwest Missouri State of Maryville played at Lewis Field in Hays, Kansas. 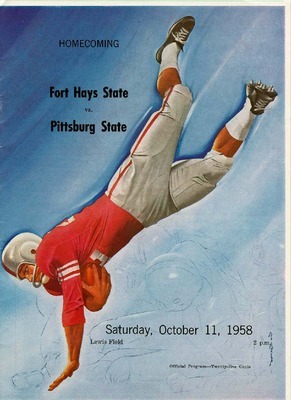 A program from the October 11, 1958 homecoming game between Fort Hays State and Pittsburg State played at Lewis Field in Hays, Kansas. 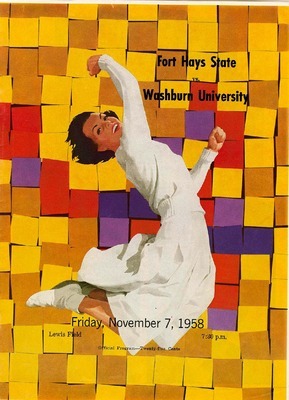 A program from the November 7, 1958 football game between Fort Hays State and Washburn University played at Lewis Field in Hays, Kansas. A pre-print mock-up of the 1957 Football at Fort Hays Kansas State College souvenir program. A program from the October 12, 1957 football game between Fort Hays Kansas State College and Southwestern College of Winfield played at Lewis Field Stadium in Hays, Kansas. A program from the November 2, 1957 football game between Fort Hays Kansas State College and St. Benedict's College played at Lewis Field Stadium in Hays, Kansas. 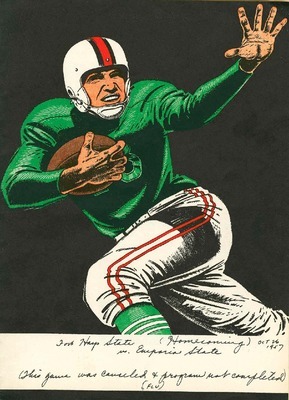 A program from the would-be homecoming game on October 26, 1957 between Emporia State and Fort Hays State played at Lewis Field Stadium in Hays, Kansas. This game was cancelled due to an outbreak of influenza and the program was not completed. 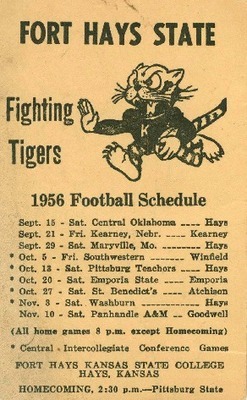 A trading card with the 1956 Fort Hays State Fighting Tigers football schedule and ticket prices printed on it. 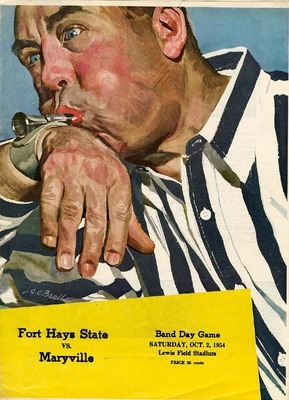 A program from the October 8, 1955 football game between Southwestern and Fort Hays State played at Lewis Field Stadium in Hays, Kansas. A program from the October 29, 1955 football game between St. Benedict's College vs. Fort Hays State played at Lewis Field Stadium in Hays, Kansas. A program from the October 5, 1954 football game between Fort Hays State and Maryville played at Lewis Field Stadium in Hays, Kansas. 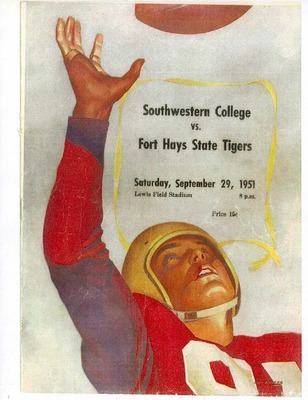 A program from the September 29, 1951 football game between Southwestern College and Fort Hays State Tigers played at Lewis Field Stadium in Hays, Kansas. 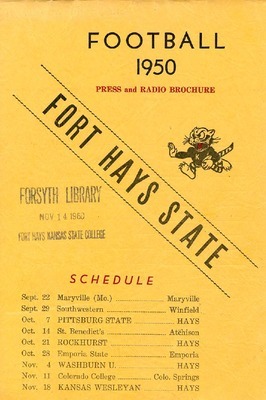 The 1950 Fort Hays Kansas State College football brochure containing schedules, rosters, and information regarding the university.